Diffused light through the glass.MaterialsDiffuser in triplex, blown glass. Base in steel. 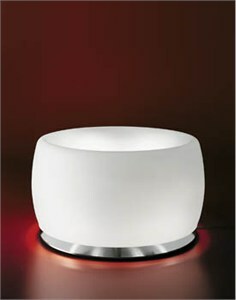 Opal white glass. Brushed base. Diffuser closed in the lower part.Light intensity adjustablewith dimmer.